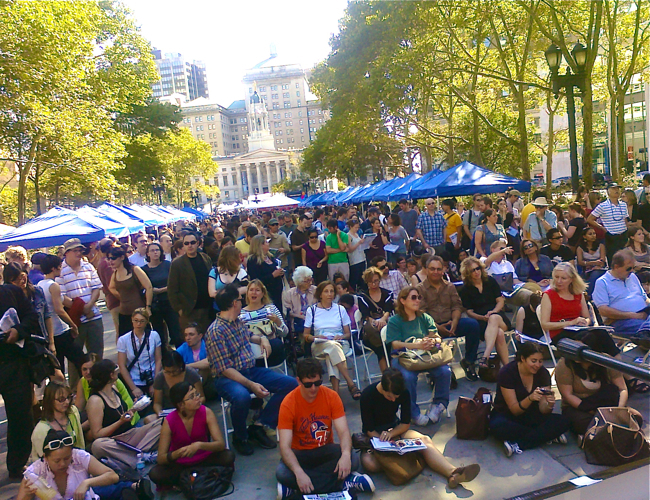 DUMBO hosts the Brooklyn Book Festival all day on Sunday. There will be adult and youth authors, photographers, and a variety of events for families. The events in the Borough Hall Courtroom and St. Francis College Auditorium require tickets. Tickets are free and Distributed one hour in advance of the program at festival information booths on the plaza. 2 p.m. to 2:30 p.m.: Target Children’s Area. Eoin Colfer, international best selling author book signing. Your books can help support the Housing Works Bookstore Cafe. Bring your new and gently used books to the Housing Works booth (#64) and be part of helping to support their important work. Or buy a book to donate from one of the many great Brooklyn Book Festival vendors. For any large donation, please call 212-334-3324.